Just looking at the Aria Amazon is a treat. Its quirky, modern design that exudes both elegance and luxury is the first thing you will notice about this glamorous vessel – and that’s before you’ve even stepped aboard! There is no better place to call home as you explore the Amazon River. The Aria Amazon has been specifically designed to allow the river to permeate into your every day life whilst on the boat. Big windows and a breezy top deck give you panoramic views of your surroundings, reminding you of the omnipresence of this powerful waterway. From the ship you will be able to admire the scenery from an uninhibited vantage point, whilst maintaining the level of luxury expected of a first class vacation. With a maximum capacity of 32 passengers, the Aria Amazon never feels crowded. The boat has 16 spacious cabins, each of which has its own ensuite as well as a stylish color scheme comprising wooden features with neutral paint tones. The floor to ceiling windows that face out over the water not only provide passengers with outstanding vistas of the Amazon River, but also drench the room in the golden glow of the sun. The rooms also contain a sofa and sitting area as well as a range of amenities, including an mp3 dock and air conditioning. In the main area of the boat are a number of communal areas in which passengers can relax together in their down time. The observation deck is great for quiet contemplation as you gaze out at the scenery, while the exercise room is perfect for sweating out any excess energy. For those looking to be pampered, the Aria Amazon also has its very own massage room, offering some wonderful treatments. The boat’s indoor and outdoor lounges are also available for passengers to mingle or grab a drink in the evenings. There is always a range of local beers and Chilean and Argentinian wines to choose from. But, it’s in the dining room where the real magic happens. Pedro Miguel Schiaffino, a legendary chef who owns restaurants in Lima, has carefully cultivated the menu to bring you a mixture of exotic flavors. These delicious dishes offer you a world-class gastronomic experience and allow you to experience the very best of the local cuisine. Both in the dining room and out you will benefit from 1:1 staff to passenger ratio. Let the Aria Amazon’s attentive and smiley staff cater to your every whim. The Aria Amazon offers itineraries lasting 4, 5 and 8 days. 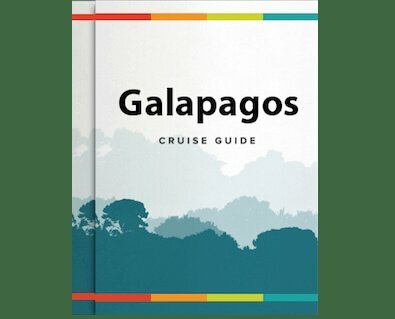 Every itinerary takes passengers to the Pacaya Samiria National Reserve, where they will disembark from the main ship and climb into smaller, nifty skiffs. These skiffs allow passengers to get up close and personal with the banks of the river and are a great vantage point for spotting the rare Amazon River dolphins. Using the skiffs as their base, guests will be able to kayak, canoe, swim and fish as they explore this part of the jungle. Other highlights of the Aria Amazon itineraries include a visit to an Amazon village, where you will be able to wander through a fresh produce market and discover a vast number of exotic fruits. Another is jungle walking in the San Jose de Sarapanga Forest. Throughout the entirety of the journey you will have the opportunity to spot wildlife in its natural habitat. The ship’s naturalist guide will be on hand as you explore to point out animals to you as well to tell you a bit about what you’re looking at. Finally, passengers will also have the unique experience of mountain biking through the Amazon Rainforest. Whether you opt for the four day cruise or are lucky enough to spend eight days in the Amazon, the Aria Amazon cruise will leave you with unforgettable memories. Both on board and on land, every moment of scheduled time has been specially crafted to help you make the most of your time in this magical part of the world. But, don’t just take our word for it, go and see for yourself. For more information about the Aria Amazon Cruise, please contact us or call 1-888-215-3555.